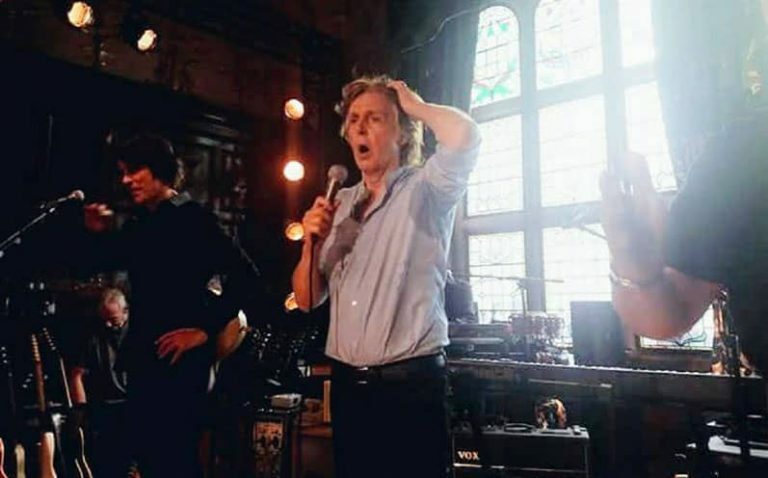 Paul McCartney was spotted in various Liverpool locations over the weekend, and performed a surprise live show at the city's Philharmonic pub. The former Beatle was accompanied by James Corden, fuelling speculation – later confirmed – that they were in Liverpool to film an appearance on Corden's US television programme the Late Late Show. It's not every day you spot one of the Fab 4 in #FilmLiverpool! ? McCartney visited various locations in the city, including the Beatles statues at the Pier Head, Penny Lane, and his childhood home at 20 Forthlin Road. In the evening he his band played a 12-song set at the Philharmonic pub. The show included a new song, Come On To Me, believed to be from McCartney's forthcoming solo album.